On a far far away land there was a time in which proud and skillful warriors roamed all over the world searching for stronger opponents in order to hone their combat arts. These holy warriors imbued with the power of Mother Earth came from different places and had uniques wrestling styles but they all had one thing in common: their "Máscaras". This devices shaped in the form of masks let them concentrate all their senses and helped them reaching higher states of consciousness. All in order to access an enigmatic power known as "Sintergia" whose attributes varies depending on the user. 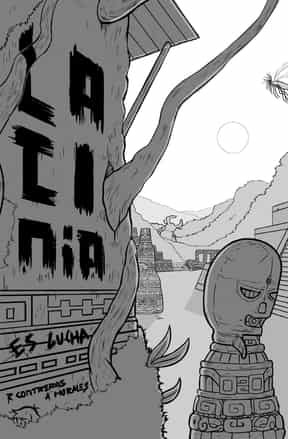 Little they knew that even with that amazing discovery they would be beaten by a devastating force coming right from the underground: The "Muertos". Without thinking back and now calling themselves "Vivos" every holy warrior around entered the fray and swore on their Máscaras that they will bring victory home. Twenty summers have passed and we now live in an era of peace but for how long?